Some music pundits who have listened to 4×4’s song that features Davido say they are not happy for the fact that Davido did a major part of the whole song. But in an interview with Coded of 4×4 fame on AM Pluzz on 89.9fm, he admitted that the trio needed Davido on the song as a stepping stone to get to the African market. He described the BET award winning artiste Davido as Africa’s number one musician currently. 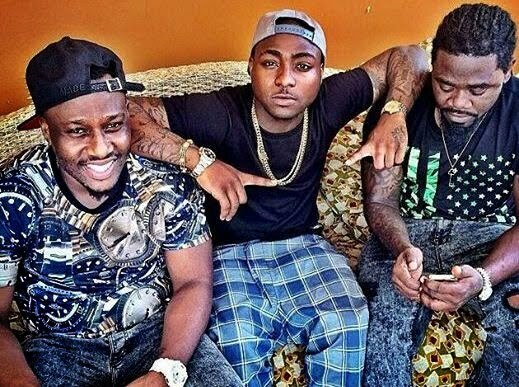 Well, the group is however very confident that having Davido on their song would boost their visibility on the international music market. When asked whether the group was targeting the Nigerian market, Coded stated that it was part of their objectives because the Nigerian market is large and targeting them is a step in the right direction since the country is highly populated, it would give them added on advantage. Coded wholly presumes “business would strategically move with Davido on the track.” It shouldn’t be surprising that very soon most people outside Ghana would start crediting the song to Davido because he did about 70 percent of the entire song.